We decided that we wanted to re shoot all the shots that we did the last time we filmed, as we felt the locations needed better lighting. 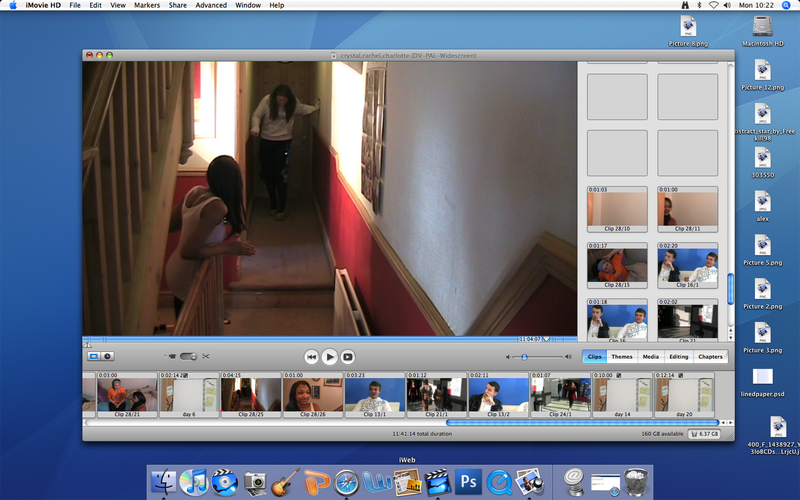 Our new shots are much better and we have now begun to edit them on imovie. This screen grab is a long shot of the main girl practicing walking in heels. In the left hand corner we have placed a light which made the hallway look much brighter then if we didn't use this equipment.